Let me start by saying, I should be the poster child for why every Bride should hire at least a Day-of Coordinator. When I married my dear hubby 2012, I had been running my business for 4 years and previously had 6 years of philanthropic events. I was by no means naive to planning events and all that goes into ensuring an event runs well. Throughout the planning, all my vendor partners asked who was going to be my planner for day-of. Imagine just how I responded……me of course. Why would I need to hire a planner when I know exactly what to do ensure a great event!? HA! What was I really thinking?! My wonderful girls at Soiréebliss! all offered to help with anything needed for the wedding. Which I loved and appreciated. At the time, I thought the best way approach was to give each a small task so that no one person was working the whole night and would be able to enjoy the wedding. It’s a win, win for everyone……right?! What I didn’t realize at the time, I was making the #1 biggest mistake that every Bride makes who does not hire a Day-of Coordinator. Many Brides enlist the help of family, friends and bridal party members to help do the exact same thing I was doing. The biggest mistake with this approach is that there still is not one main person who is managing all the moving parts making sure everything flows together seamlessly. Which in turns just causes the Bride to still stress and worry about the logistics or things slip through the cracks and things go wrong. Flash back to my wedding day; I was running back and forth between hair and makeup and set-up to check to see how things were going and help. 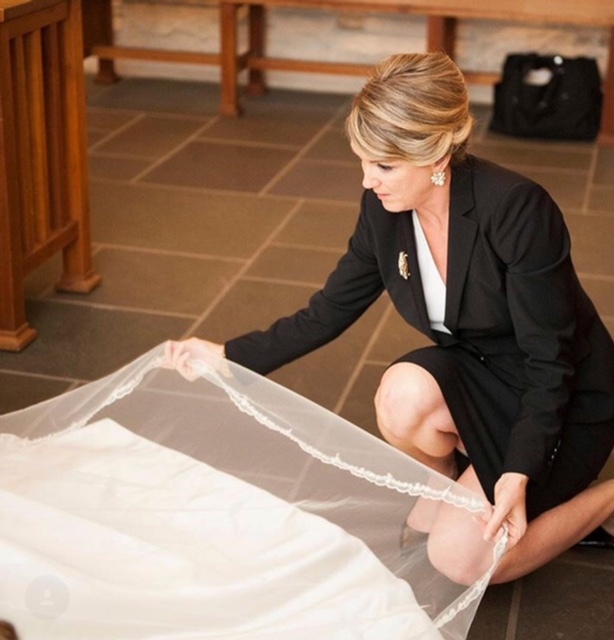 As I was dressing, I was reviewing the timeline to see if we were on schedule and how to get us back on schedule as my stylist was inserting the veil. Throughout dinner, I kept asking to know the time to confirm we were on schedule. I truly didn’t relax until the dance floor opened and there were no other logistical items to be done. Looking back on the evening there were little glitches that were possibly not noticed by others, but certainly did not create a perfect wedding day. It was by no means flawless. Our reception room detail shots were taken with the house light fully on vs. dimmed. The DJ played didn’t follow our requested must play songs. Dinner moved slower than was really necessary. At the end of the night, some of our personal décor items were lost. Granted, none of these items make or break any wedding, but its things that a Day-of Coordinator would have caught and prevented. While I cherish our wedding day, I know I would have been so much more relaxed knowing a trusted professional was managing all the detail. I hope my experience will help others to ensure their wedding day is as perfect as they planned it to be. My advice to any Bride, consider a Day-of Coordinator. It will be the best money spent for your wedding. When considering who to hire, be sure to check previous reviews. It’s crucial your Day-of Coordinator (or Wedding Planner providing Day-of Coordination) has a proven track record of creditable references both in the industry and previous clients. 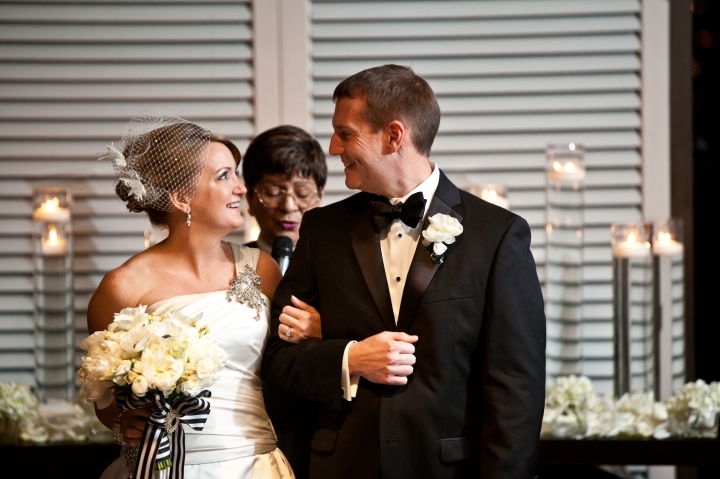 Review their past weddings to be sure they are able to handle the caliber of your wedding. Most importantly, ensure that the person you are considering is someone whom you’re comfortable with entrusting your wedding to. If you’re not 100% comfortable with them, you will not peace of mind and confidence in them to enjoy your wedding day. And trust me, peace of mind to focus on your day is truly priceless! !